So for the longest time I’ve been avoiding web development, not because I thought I wouldn’t be any good at it but rather I find that front-end web coding required a lot more artistic skills than programming skills, and since I have difficulty drawing stick men I would struggle making something look good on the web side. It’s not like I’ve never done web programming. When I ran my PixelSystems consulting company I wrote some java code that built my HTML website whenever I got new pricing from my hardware vendors. Yeah that sort of thing isn’t done any more, most systems now build the HTML on the back end, certainly the content specific stuff anyway. But when I wrote my translator stuff I didn’t have access to hosting that allowed for a java servlet and at best I could only really use PHP for server related functionality so it just was the best way to get a dynamic website and grow my business. Things are changing now. There aren’t really that many of us old school ‘application’ developers left. Most everyone these days are ‘full stack’ web developers, with everything moving to ‘the cloud’ and the notion of ‘SAAS‘ the need for actual application developers to write both computational code as well as UI code in Swing or SWT is lessened. Back in September I forced myself to start looking into servlets, how to develop them, how to connect the front-end to the back-end, build dynamic modern websites, how security, OAUTH works and tying an overall idea into an over-arching website. So far I’ve learned a lot an am actually having fun. I’m attempting to re-create a pen-and-paper RPG that I played many moons ago but turn it into a web service/website that allows users to come in, build their content using tools I developed then run through scenarios using the pen-and-paper rules built on the back-end having the server drive and enforce the rules. It’s slow going because as expected the learning curve is nearly vertical. Thankfully though the internet is a fantastic source of information. Sometimes I wonder how I grew up in an age that didn’t have such easy access to information. How did I actually learn to code without a debugger, without instant access to a search engine that can point me to a problem I’m fighting with in code or ways to troubleshoot issues I’m having with my software? I don’t think new developers today (the ones I’m trying to learn from now) really understood how much harder things were in the old days, when the only way to really debug your code, certainly on some of the more archaic platforms, was to println or console.log variable contents and try and mentally visualize what was going on in the code and why it wasn’t working properly. I have NO interest to go back to those days but I do think it’s what made me so resilient today when it comes to troubleshooting problems. My project has a long way to go before I start talking about it. I would be lucky if I am 10% done and I have been working on it for about 6 months already. That being said I am a lot further along with it than I expected and much of that is due to having access to the internet as a resource as having so many years experience in finding solutions to difficult problems. I also had my 25th anniversary at work this month. Hard to imagine, working at one place for 25 years. Well, I suppose it hasn’t been at one place since as with the software industry, even from the beginning, we got bought out lots, but thankfully with each buyout I was allowed to keep my seniority so March 14th was effectively my 25th year there. Even more strange is that there are 5 of us left that have been working together for all those 25 years. How many people these days, in the computer industry, can say they’ve worked with the same 4 people for 25 years? I’ve known some of these people longer than I’ve known some of my family. I guess it helps that for the most part I get along with them well, that after 25 years we know each others strengths and weaknesses and we are a fine-honed machine for producing good code that the company can sell. All of us at this point are patented developers, my patent isn’t actually official yet but as with most things government related it will take time but I suspect within the next 2-3 years it will be official so that will be another feather in the cap. I suppose I’m simply lucky, to have found something I’m good at, that I enjoy and that I can do to make a living at. We have to spend so much of our lives working to survive and I was lucky enough to find something I actually love doing that actually puts food on the table. Well maybe not lazy but I’m certainly not proactive in actually updating this place. I had a lot of personal changes in my life this year. Broke up with a partner of 4 years, blew out my knee requiring surgery (meniscus tear from practicing Brazilian jiu-jitsu), cleaned myself up, met a new partner. In the process of all those changes I had time to actually enjoy my life and the things that I love. I was disappointed about my injury since BJJ has been an important part of my life for the last 5 years but it did give me time to get back into tech and gaming, something I had started at the beginning of this year as my last post suggested but wasn’t really enjoying as much as I wanted since I was using a lot of it to escape my unhappiness in my relationship. I seem to try and escape to gaming whenever I’m unhappy. I am gaming again but this time because I’m enjoying it rather than escaping to it. I enjoyed the majority of them, all were finished on PC, none I paid full price for. It’s a side effect of Steam and endless places to find deals on Steam keys. GOG, Fanatical, Chrono.GG, CDKeys, Humble Bundle, all are fantastic for finding deals on your games, and when used in tandem with sites like IsThereAnyDeal and SteamDB it’s easy to make sure you pay the least money for the most software. which was a lot of fun. I found the setup relatively easy, mostly because my PC can handle VR without too much fuss but I did find the screen not very good and saw the ‘screen door effect‘ too pronounced. 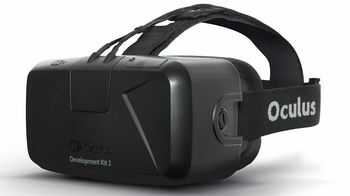 It did show how far VR has come in the last 30 years. 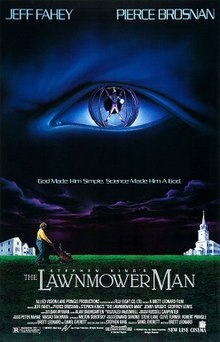 I recall in college being very interested in VR, it probably helped that at the time the “Lawnmower Man” was popular in the theaters as well. If the retail kits of Vive or Oculus weren’t so expensive I’d consider buying in but as it stands I think I’ll wait at least 1 more generation before jumping in. By then I’ll need a new video card anyway and since I’ve seen bundled kits (with new GPU) there is a good chance similar bundles will be offered for the next generation. Hopefully they’ll be wireless by then too. Which wasn’t a huge upgrade from my existing AVR but I got a good deal (less than half price) and this new model will support 4K and HDR which is something I’m interested in. At the time my TV was still a 2012 1080P Panasonic Plasma which still looks nice but leaves a lot to be desired in terms of framerate and size. 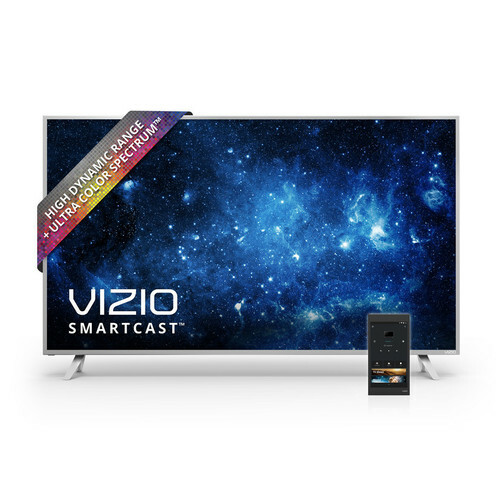 I recently upgraded to a Vizio P65-C1 that I got from Costco which so far has been really good. It’s technically last years’ model however the panel itself is identical to the E1 which is the 2017 model yet the C1 comes with a nice tablet to control the device. We can never have enough gadgets can we? Looking forward to some time off work in December, hoping to finish some more of my backlog like Halo Wars 2, Prey and Dark Souls 3. That and sleeping in a few days with luck.